IS “HAUNTED” HOUSE PHOBIA A THING?! Well, kind of. It’s not a daily occurrence, but it is not uncommon for potential buyers to ask if anyone has ever died on a property or to specifically ask if a property is “haunted.” What can I say, superstition runs deep. Since Palestine is home to so many historic homes, it is not an unreasonable question. So…what is the answer? What do you have to disclose to potential buyers? Surprised and confused yet? In a nutshell, any violent death (i.e. : a murder) or a death caused by the house (i.e. : carbon monoxide poisoning) would have to be disclosed—”haunting” (in the eyes of the Texas Property Code) is up to the discretion of the seller. However, I would make the suggestion that if a buyer wants to know, tell them. Don’t hide anything—you can’t disclose too much and they will find out eventually (probably on move-in day when the neighbors walk over and give them a pie and the scoop on the “haunted” house they just purchased.) Always share what you know (or have your agent do it for you). Not everyone believes in ghosts. Not everyone cares about paranormal activity. The buyers who are concerned about a potential “haunting” will ask. When they do, you share what you know. If the activity is of a high enough level to be of concern, it definitely needs to be shared. 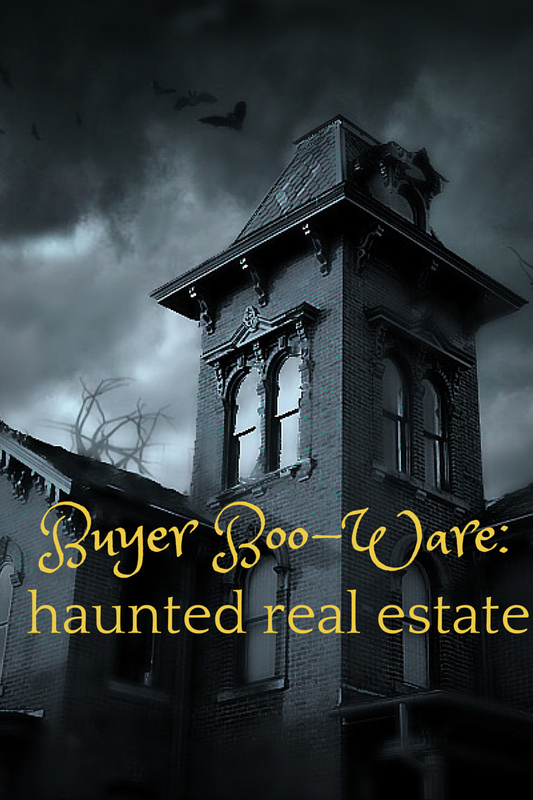 If you believe your house is “haunted,” have a serious discussion about it with your REALTOR® and get a game plan for disclosing it to potential buyers without scaring everyone away. This is such a tricky subject, because really, how do you know?! Unless you witness it first hand, you are probably a skeptic. I am certainly not a “ghost expert,” but I do know houses. Houses creak, moan and groan—especially the older ones. Be careful not to assume that, just because it’s an older home, all those noises are ghosts doing ghostly things! (Whatever ghostly things are?—maybe they enjoy late night TV? Do they like to do cartwheels at 3am in the dark?—Now THAT would be some good reality TV!) If you’ve got more sinister activity, like things flying around, red goo dripping down the walls or physical touching, you can’t keep that to yourself…but if you’ve got that, I’d venture to say that seller’s disclosures are the least of your troubles. Although it is easy to make light of a potential “haunting,” if there is a real concern (especially for the safety of future occupants), it is your duty and you are obligated to disclose it to any potential buyers. Hopefully the only creepiness at your house is only there for the Halloween season, but if you ever find yourself owning a ghost house, you’ll know what to do. Or maybe you’re lucky and your ghost is a clean freak who likes to do the dishes and fold laundry. If you’ve got that type of ghost, call me, I’ve got a buyer. Lisa E. Priest is a fan of all things October–especially Halloween and is an East Texas Area REALTOR® with Picket Fence Realty, Inc. You can reach her via phone or text at 903-948-3343 or email Lisa@RentPalestine.com or online at BuyPalestine.com.